Book Of The Month: March 2016. Prince Caleb of Heathwin, longs for peace and security for his kingdom. Princess Laurel of Gwenlais is just seconds away from death. Amazon Review By Galveston Texas Reader February 18th, 2016. Amazon Review By Alana Blackey Janurary 21st, 2016. 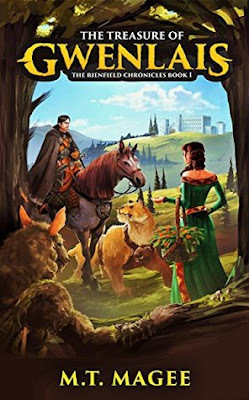 "The Princess of Gwenlais and the Prince of Heathwin must work together to prevent war. All the while love is brewing between the two which adds to the drama. An enchanting love story wrapped in an epic fantasy adventure that Tolkien himself would approve of. This is a book that will steal your heart and thrill your senses. I couldn't have asked for a better way to spend a rainy night. Definitely a cozy up on the couch kind of book."